Fittingly for April and Earth Day 2019, the Hot Topics Luncheons that took place on January and March were about the Article 1, Section 27 is our state’s environmental rights amendment and the Wildlands Conservancy. However, support for the environment should be maintained year-round. Through the LWVPA Citizen Education Fund, with support from a grant from the Colcom Foundation, funding is available to local leagues to increase the public’s awareness about the environment, particularly the link between plastics and the gas and oil industry. We welcome the public to use this entire webpage as a resource. Please contact our League at email@lwvlehighcounty.org if you would like to partner with us to put on displays in public and private schools, public libraries, science fairs and other school projects and any idea you develop yourself. You may start learning about plastics right now. 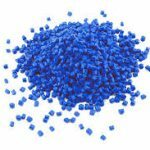 The Straight Scoop on Shale Drilling webpage has many resources including a powerpoint called “PLASTICS 101: What You Should Know” given by Dr. Don Naragon, chemist emeritus, member of the League of Women Voters of Greater Pittsburgh and of the LWVPA Board. Below are links to resources from conferences and websites dedicated to this issue. The sixth annual Shale & Public Health conference was held on Wednesday November 14, 2018. 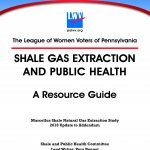 One outcomes that benefited our local league was the presentation of the The League of Women Voters of Pennsylvania SHALE GAS EXTRACTION AND PUBLIC HEALTH A Resource Guide Marcellus Shale Natural Gas Extraction Study, 2018 Update to Addendum Shale and Public Health Committee, Lead Writer and Editor, Vera Bonnet. Our local league offered copies to members who attended the Hot Topics Luncheon in March. We donated copies to all of the 13 public libraries in the Allentown Public Library District. The district includes Carbon and Lehigh counties. Click here for the twelve-page handout distributed at the2016 Shale & Public Health Conference. The specific topic of Straight Scoop on Shale is the link between fracking for natural gas and plastics. Click Industry Structure a flow chart that illustrates this. 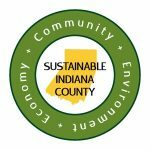 As we receive them, informational resources on environmental and health impacts of plastics, waste disposal issues, strategies for addressing plastics issues, alternatives to plastics and other innovative approaches will be made available on this web page. And, we welcome partners from across Lehigh County to join us in distributing this information. Students of all ages attending schools of all types and active in clubs and initiatives, environmental groups and individual citizens who are concerned about plastics and the environment, please contact Jan Little at lwvlehigh@yahoo.com if you would like to join us. Click here for the link to a presentation that Chair Heather Harr saw at a conference in NYC on March 14, 2018. It was compiled and delivered by Cathy Kunkel of the Institute for Energy Economics and Financial Analysis. It describes, from an economic perspective, the link between fracking and plastics. Click on Industry Structure the subject of slide 12: a diagram of the flow from oil and gas to petrochemicals that can be turned into plastic products. 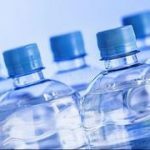 Click here for a story about a new study of plastic in bottled water, “Your bottled water may contain hundreds of little pieces of plastic” updated on April 30, 2018. Click here for a link to the actual study, thanks to WPXI, an NBC-affiliated television station licensed to Pittsburgh, Pennsylvania, that included the link in its relatively in-depth report. Click here for a short video about polyester. The Story of Stuff project: Take That, Plastic Bags! 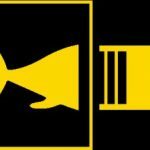 Click here for another podcast, about some actions/solutions to the plastic bag issue. Dr. Don Naragon, chemist emeritus, is in the process of tweaking the PowerPoint overview about the biochemistry of plastics that he delivered in April 2018 in Pittsburgh. Listed below are some of the topics covered in the presentation. Click here for a definition of plastics. Dr. Naragon discussed the biochemical composition of the major groups of plastics and what products are made from them. 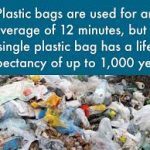 But, we are concerned about their effect on the environment and what we can do to reduce their negative impact..
Click here for the seven standard classifications for plastics, and the recycling and reuse information for each type. Pollution Prevention Week begins the third Monday in September. Campus Sustainability Month is held every October.